Ash, John. 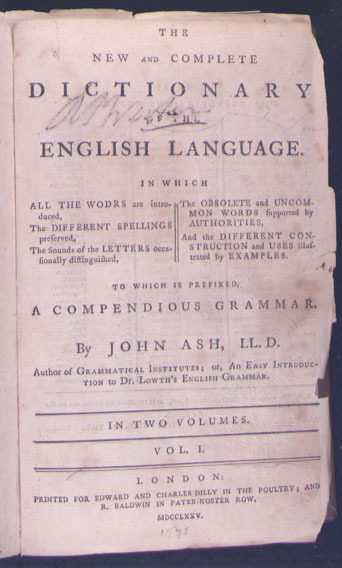 The New and Complete Dictionary of the English Language. London: Printed for E. & C. Dilly [etc. ], 1775. 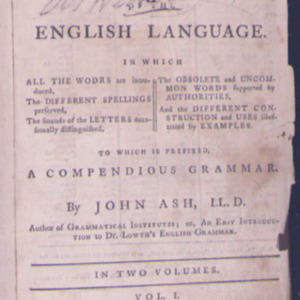 “New and Complete Dictionary of the English Language,” University of Virginia Library Online Exhibits, accessed April 26, 2019, https://explore.lib.virginia.edu/items/show/588.